We have more than 250 members of all ages and abilities. 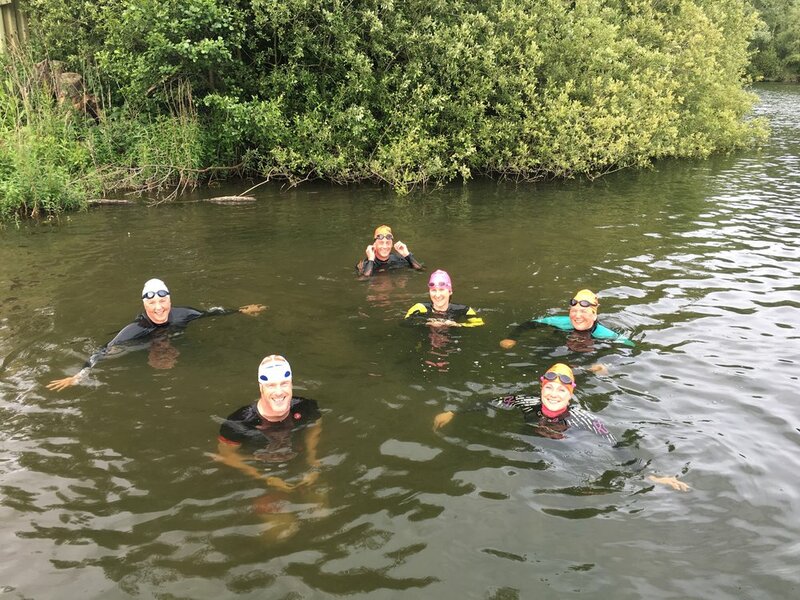 The aim of the club is to encourage people to enjoy triathlon, be the best that they can be and meet like-minded people. Everybody is welcome to join us if you’re interested in swimming, cycling, running and other forms of multi-sport. To attend our swimming sessions we ask that you are able to swim 400 metres front crawl. There is no minimum speed. We are run entirely by volunteers, none of our coaches, committee members or marshals are paid. They give up their time to make our club the great club that it is. We ask that all of our members volunteer to marshal at one of our three organised events in the year - all of the money raised helps to subsidise our club sessions, pay for the coaching courses and subsidise the club kit. We are a Triathlon England affiliated club. As the club has grown very quickly and is continuing to attract new members, we have capped the numbers for our coached pool sessions to keep them safe and enjoyable. More volunteer coaches are taking their qualifications in we may be able to increase the numbers in future years. The first triathlon in Herefordshire was held in 1987 from the rowing club. The success of the event inspired a group of multi-sports enthusiasts to set up the club in 1988 when we were based at the former Greyfriars hotel and gym. The club held our first race in 1990 and since then we’ve grown steadily. We pride ourselves on being one of the friendliest, most relaxed clubs around and everybody is welcome to come and try out one of our training sessions. Most people start by coming along to our coached swimming session on Tuesday evenings – for more information please go to the training page. Membership is just £15 per year (free for students). As a member you’ll be able to attend our coached sessions, take part in the summer and winter cross country running series and the Hereford Wheelers summer time trial cycling series. You’ll also be able to purchase club training and leisure wear. The governing body of triathlon is the BTF. If you’re racing more than a few times a year it’s worth becoming a member as you will not have to pay the extra for a day licence. As a member you’ll also be insured for training and racing at home and abroad and be eligible to represent Britain at age group competitions.